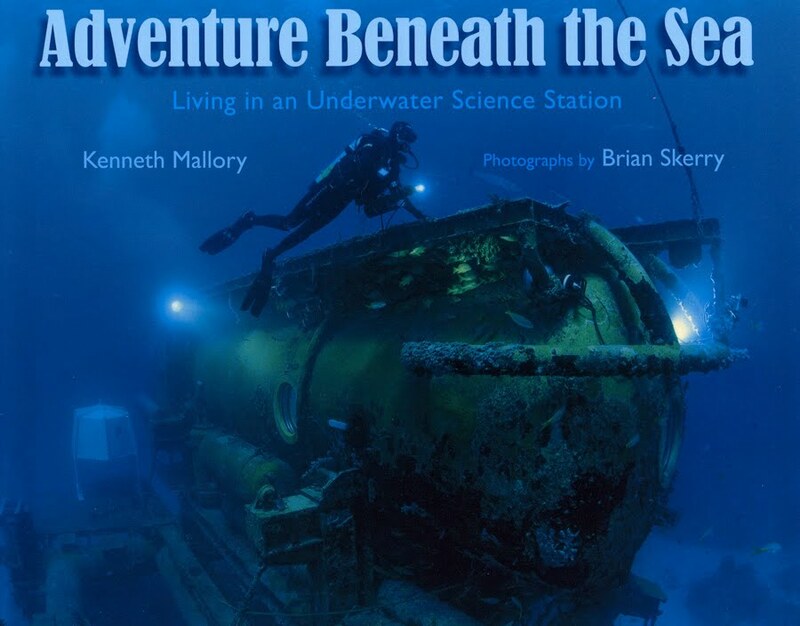 Aquarium Lecture: "Adventure Beneath the Sea: Living in an Underwater Science Station"
Tonight, author Ken Mallory spoke about his book Adventure Beneath The Sea: Living in an Underwater Science Station. He described living 60 feet below the ocean waves? Mallory and Brian Skerry (National Geographic photographer and the Aquarium's Explorer in Residence) found out. They spent a week in the Aquarius underwater laboratory on a coral reef off the Florida Keys National Marine Sanctuary. The lecture was webcast live, and the video will be online shortly. In the meantime plan to attend the next Aquarium lecture. And be sure to connect with the Aquarium on facebook, twitter and tumblr for updates on all Aquarium events. The Aquarium has been providing free lectures and films by scientists, environmental writers, photographers and others since 1972. The Aquarium Lecture Series is presented free to the public through the generosity of the Lowell Institute, which has been providing funding for free public lectures at universities and museums since 1836.